Kealy Motors have been in business over 30 years and offer full dealer facilities. Within easy access off the M50 Kealy Motors is situated beside the Beacon Hospital in Sandyford Industrial Estate, Dublin 18. 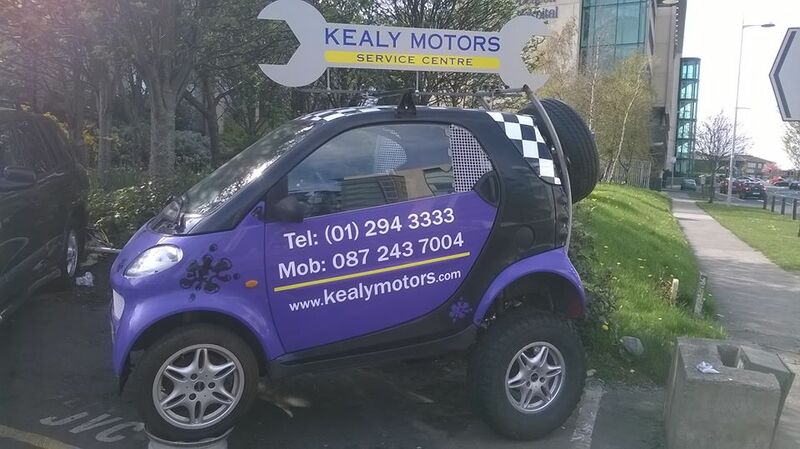 Experts in servicing, Kealy Motors offer affordable prices for quality repair and maintenance for all makes of cars with a goal to get you back motoring in a safe reliable vehicle and with the addition of their Eco Steam Car Wash, Kealy Motors is a one stop motor dealer. Click here to book car service with Kealy Motors Sandyford. Kealy Motors are pleased to announce a new course designed primarily for ladies. It covers not only the simple tasks like changing your tyres, wiper blades and fuses but also how a car actually works. This course will give a great foundation on knowing what to expect the next time your car goes in for a service and ensure that you are not exploited by rogue traders. Click here for further details.